To serve Kansas PSAPs by implementing a coordinated, sustainable and comprehensive Next Generation 9-1-1 (NG911) service that responds anytime, anywhere, from any device in order to realize the full potential for 9-1-1 to provide public access to emergency services. To enhance public safety in Kansas by providing statewide access to Next Generation 9-1-1 (NG911) services. The Council is an elite team of hand-picked volunteers appointed by the governor. 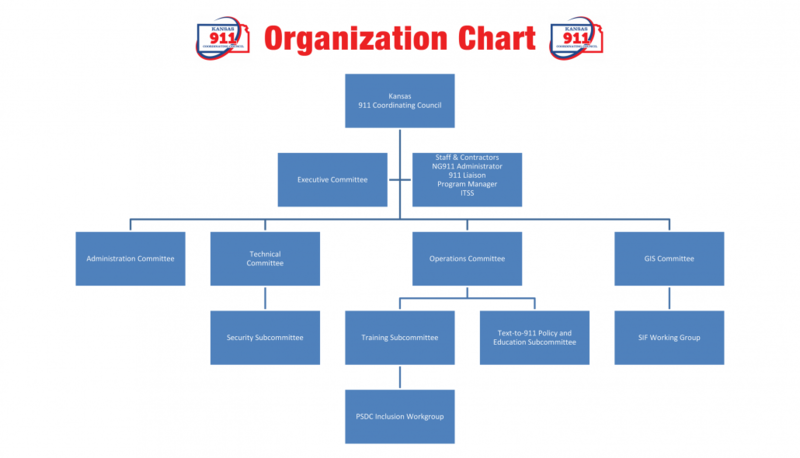 Each member is a subject matter expert having special background and experience with each critical element of 911 public safety. Council membership includes 17 voting members and nine non-voting members.